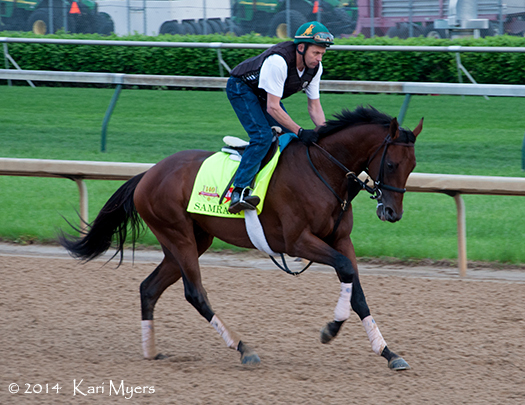 May 1, 2014: Samraat galloping in preparation for the Kentucky Derby last year. 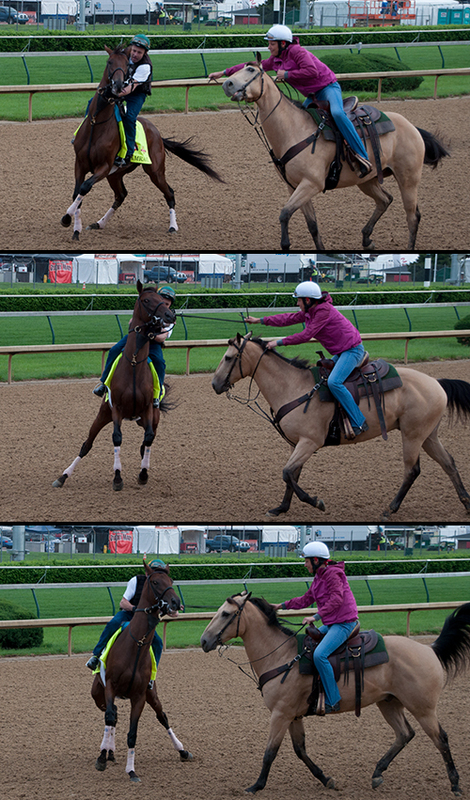 Samraat, 5th in the Kentucky Derby and 6th in the Belmont in 2014, is back on the work tab after about one year off. He suffered a stress fracture last year in the Belmont, so it looks like they’ve taken their time with him and brought him back slowly. He’s been galloping for awhile, and posted his second workout this morning at Aqueduct. 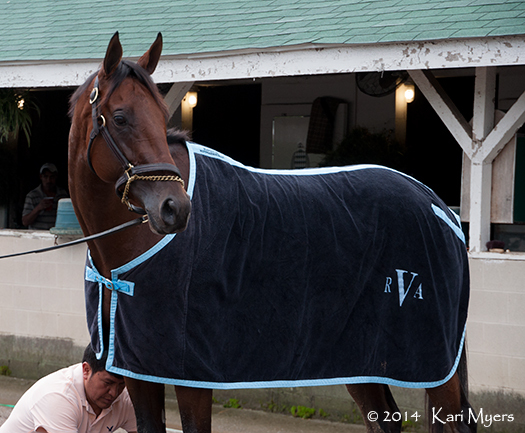 I watched him quite a bit last year while he was at Churchill Downs, and he seemed like a really calm, easy-going colt. 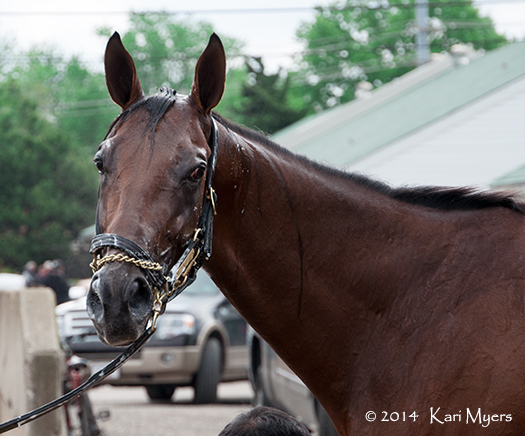 I wish him and his connections all the best, so here’s hoping for a successful comeback for this handsome guy! 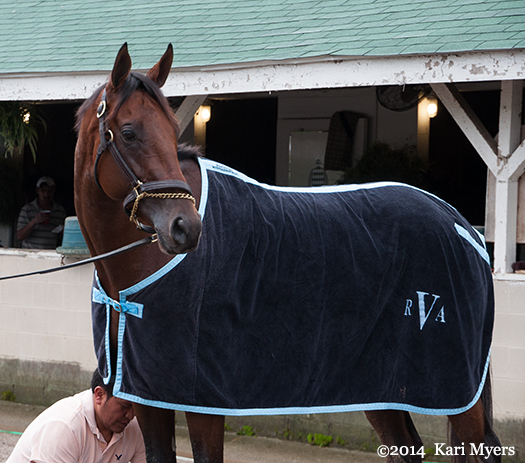 Apr 30, 2014: Samraat waiting for his bath after a gallop at Churchill Downs. I’m going to admit it right now. I’m totally smitten with Samraat and his gigantic ears. Here’s hoping he runs well on Saturday! 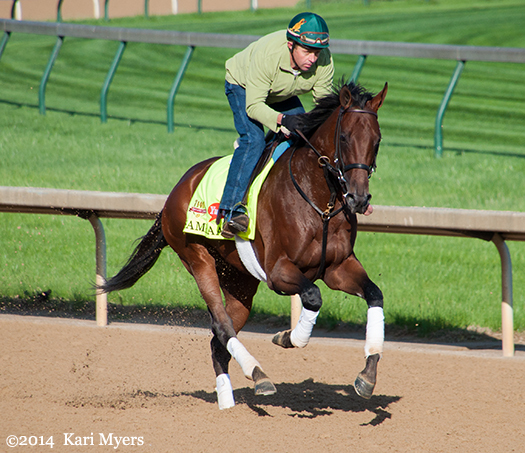 Apr 30, 2014: Samraat out for a gallop during the dedicated training time for Derby and Oaks horses. Apr 30, 2014: How can you not love those ears? Apr 30, 2014: Bath time for Samraat. Apr 30, 2014: At least we know he’s athletic. In defense of this spaz attack, he’s spooking from a horde of people clomping down the metal grandstand. It even startled me.